Michel S. Beaulieu is an associate professor and chair of the department of History at Lakehead University in Thunder Bay, Ontario. David Ratz, a professor in the department of History at Lakehead University, specializes in Canadian military history. He lives in Slate River, Ontario. The study shines light on the lesser-known Canadian prisoner of war (POW) camps in World War II. In this well-researched study, Zimmermann describes not only Camp R, but the inmates, guards, military command structure, politicians, and general political environment in Canada and Britain.... Zimmermann offers an important study of the unjust imprisonment of German and Austrian refugees during World War II. The work is easy to read and deftly supported by a broad array of sources. Zimmermann’s analysis encompasses Canadian and British history, making it of interest to a wide audience. It can also serve as a comparison to the internment of Japanese Americans in the United States. 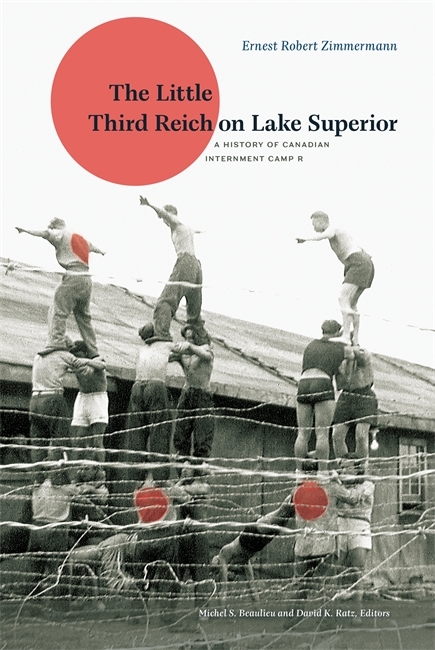 The Little Third Reich on Lake Superior sets a high standard for future research into civilian internment camps. Zimmermann's thorough research, along with numerous photos of daily life in Camp R, paints a vivid picture of life at the camp and the political context that spawned it... [A] fascinating look into the politics of wartime internment camps and the role Canada played as host to the unique group of internees at Camp R.